February 20, 2018 – The National Oceanic and Atmospheric Administration’s (NOAA’s) newest weather satellite, Geostationary Operational Environmental Satellite-S (GOES-S), is scheduled to launch Thursday, March 1. The launch, as well as prelaunch and science briefings on Tuesday, February 27, will air live on NASA Television and the agency’s website. At 3:02 p.m. MST March 1, a two-hour launch window will open, during which GOES-S will launch on a United Launch Alliance Atlas V rocket from Space Launch Complex 41 at Cape Canaveral Air Force Station (CCAFS) in Florida. Launch coverage will begin at 2:30 p.m. MST. The Atlas V was chosen because it has the right liftoff capability for the heavy weight requirements of the satellite. GOES-S will weigh over 11,000 pounds at launch. 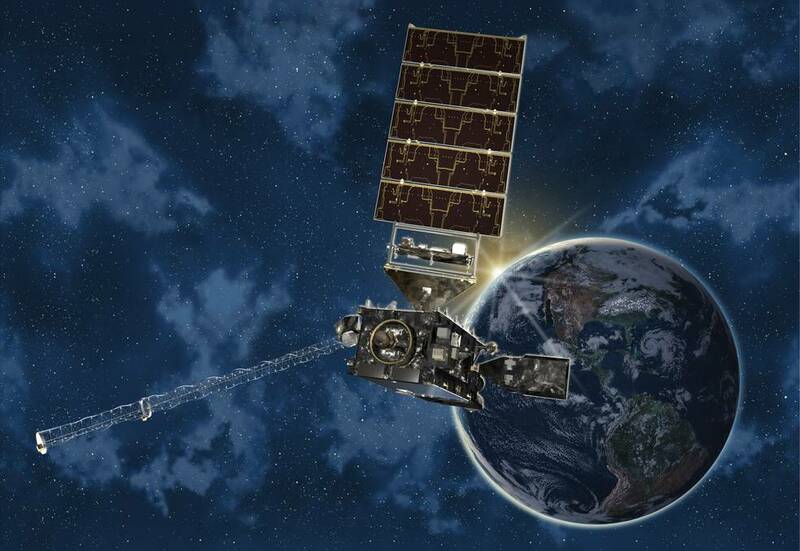 GOES-S is the second in the GOES-R Series of weather satellites that includes GOES-R (now GOES-16), -S, -T and -U. The advanced satellites, built by Lockheed Martin in Littleton, Colorado, provide accurate real-time weather forecasts and early warning products to NOAA’s National Weather Service and other public and private sectors. GOES-S will be renamed GOES-17 when it reaches geostationary orbit. Once the satellite is declared operational, late this year, it will occupy NOAA’s GOES-West position and provide data for tracking wildfires, tropical cyclones, fog and other storm systems and hazards that threaten the western United States, including Hawaii and Alaska, Mexico, Central America and the Pacific Ocean, all the way to New Zealand. NASA TV will air two GOES-S news briefings on February 27 from the Press Site at NASA’s Kennedy Space Center in Florida. Media can ask questions during the briefings via Twitter, using the hashtag #askNASA. There is no planned post-launch news conference. Audio of the news conferences and launch coverage will be carried on the NASA “V” circuits, which may be accessed by dialing 321-867-1220, -1240, -1260 or -7135. On launch day, mission audio, the launch conductor’s countdown activities without NASA TV launch commentary, will be carried on 321-867-7135.